If you've just found out you're pregnant or you're fast approaching your due date you are in the right place. Since 2008 I've been helping expectant Mums like you prepare for a positive birth and feel calm, confident and courageous when they meet the new love of their lives. Our Birth Anxiety Breakthrough Sessions will take you through this transformation phase of your life with ease. Comprised of 10 x 1-2-1 sessions to be taken pre and/or postnatally plus fully comprehensive antenatal education materials, our birth anxiety breakthrough sessions have helped 100's of expectant Mums to release their fears and create positive birth experiences and start to parenting. 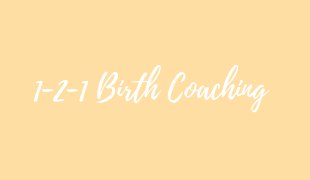 The Birth Preparation Group Coaching Programme - Did You Know The Way You Think Can Affect Your Baby's Birth? Our signature birth preparation course for overly anxious minds is a life changing mindset training programme for expectant Mums. 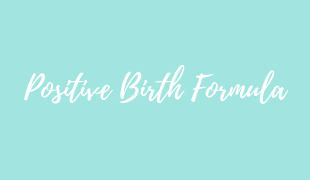 Comprising of an intensive eight-week online antenatal course plus weekly LIVE group Q&A sessions, The Positive Birth Formula has helped 100's of women birth calmly, confidently and courageously. Combines Antenatal Education, Mindset Training & Hypnobirthing The Positive Birth Formula is multi layered approach to reducing anxiety in pregnancy, preparing for a positive birth and giving you the self insight needed to remain anxiety free in Motherhood too. 1:2:1 & Group Coaching Options available. Hypnobirthing Workshops & Home Study Course - What if you could achieve a calm birth regardless of where and how? Our hypnobirthing workshops & home study course is an advanced hypnobirthing antenatal course. With step-by-step guides, practice exercises and how-to's on how to make hypnobirthing practically foolproof. ENROL NOW Throughout the year we hold various events and workshops in Essex and Lincolnshire to help you and your partner prepare for birth. 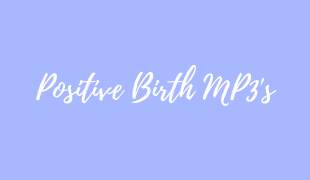 Relax, unwind and prepare for a calmer, more comfortable birth with our Positively Blooming Birth MP3 collection. Our professionally written hypnotherapy MP3's will take you from 20 weeks of pregnancy through to birth and beyond, we even have one for your birth partner. Reframe your mind whilst you sleep, build up positive images of birth and strengthen your emotional resilience. All our Mp3's have been professionally written and recorded and in use since 2008, making them a reliable part of your birth preparation. BONUS - The Breathing for Birth Audio Collection and PDF guide. Hypnobirthing home birth baby Samuel arrived 11 days early on the 23rd March. It all kicked off around 5am and Samuel arrived 12.37am. The attending midwife was amazed how calm & controlled I was. No pain relief either! Not that I felt ‘pain’…more discomfort & strong sensations. I had the birthing track on repeat all the time. Would I do anything differently? Yes. I’d listen more regularly to the relaxation tracks (should have done it every day). Practice with my partner trigger words or phrases. Listen to my body more… When the stinging sensation started I should have listened to my body and slowed down. Would I have had the amazing experience if I hadn’t used hypnobirthing….Not a chance. The hypnobirthing made all the difference to my capability and confidence. Highly recommend Positively Blooming to anyone. My husband and I attended one of Sarahs hypnobirthing sessions 2 weeks before our son was due as I have started to hear more about it. Sarah has such a calming presence about her and we really enjoyed the session. 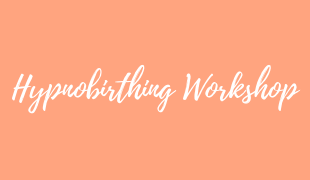 I had been using hypnobirthing method’s at home and my husband thought it was all a bit ‘ mumbo jumbo ‘ so i bought him along to hear Sarahs story. after the workshop my husband started to see the upcoming birth as an exciting experience, rather than a daunting one. He even kept reminding me about releasing our oxytocin rather than adrenaline ( even now in every day life). I felt so positive about our birth, my friends and family thought I was crazy to be looking forward to the birth. I listened to sarahs pregnancy track every day for 4 weeks ( he arrived two weeks late) whilst ihad a bath. I was told I needed to be induced which rang alarm bells to me. But with the help of hypnobirthing I just kept calm. The birth was long with early labour lasting two days. I was then ‘ stuck’ at 3cm dilated for which seemed like hours. I did have to accept an epidural 3 hours before the birth but mainly due to the reason..I needed sleep! The midwives did comment about how calm our birth was and sarahs birth mp3 was being played in the background. if it wasn’t for hypnobirthing the run up to the birth would not of been as positive as it was. Thank you Sarah. Hi Sarah, I thought I’d email you after the birth of our son on 31st December. The hypnobirthing techniques that you taught us combined with the MP3 worked wonders! Before seeing you I was absolutely petrified of labour, however through breathing and relaxing I turned my black stone into a white stone! The labour lasted in full just over 3 hours and I used your breathing techniques throughout. They really helped me cope with the pain and kept me so much calmer as they gave me a focus. I really can’t thank you enough and I have been singing your praises to all my pregnant friends!! Thank you again.